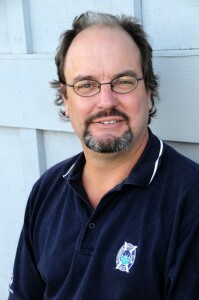 Pioppi has written for magazines including Golf Course Architecture, Golfdom, Links, GolfPunk and GolfWeek. The Executive Director of the Seth Raynor Society, Pioppi is an overseas member of the St. Andrews Golf Club, Scotland. His home layout is the municipally-run Hunter Golf Course in Meriden, Conn. Since 1998, when he left the world of daily newspaper reporting after 12 years as a reporter, Pioppi’s life has been immersed in golf. For the first two years after leaving the newspaper business, Pioppi worked on golf course grounds crews in Florida and Connecticut. He spent two summers working at TPC River Highlands, home of the PGA Tour’s Travelers Championship. Pioppi was also a volunteer grounds crew member at the 2000 and 2005 Open Championships (both at the Old Course), the 2005 Walker Cup (Chicago Golf Club), the 2006 Curtis Cup (Pacific Dunes) and the 2006 U.S. Women’s Open (Newport Country Club). Pioppi is also an architectural consultant and has consulted at Dudley Hill Golf Course and Fenwick Golf Course, among others. He is in the process of developing an affordable nine-hole daily fee course in his hometown of Middletown, Conn., which he co-designed with Brian Silva.